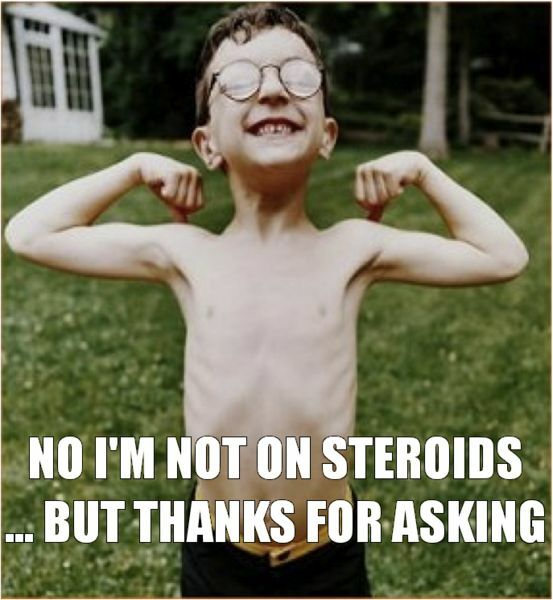 Juiced Up - Do You Take Steroids? Crap, I’m busted! However, you reply with all out denial because you don’t want to be labeled 1) as a meat-head 2) as a user 3) as a fake. How insulting! You work your tail off balancing nutrition and training and these people think you can only look this way because you’re on the juice. Flattering! You work your tail off balancing nutrition and training and people are taking notice. Here is where you can proudly say that it is natural and thus an awesome conversation begins on my 2 favorite topics, nutrition and training! I always choose the latter when faced with this question but I admit it can get annoying after it’s been asked repeatedly. No one should take offense to being asked if they’re on something unless they are in fact guilty because this is the society we live in. It runs rampant in sports and I believe this is where society doesn’t understand why people use in the first place. 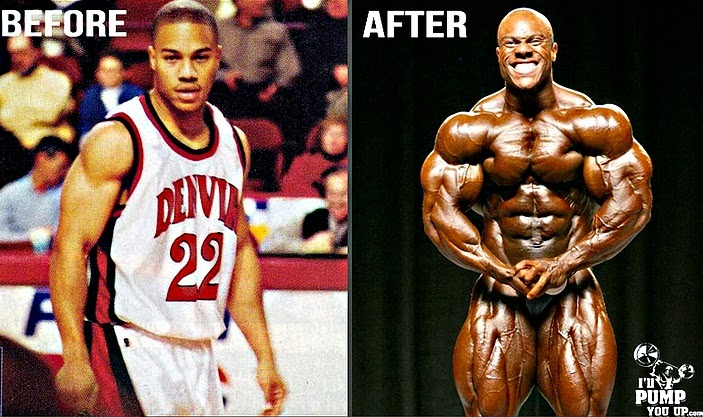 Anabolic steroids serve 2 purposes. 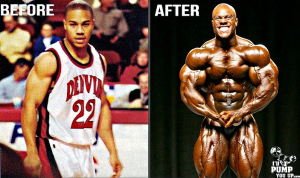 Steroids as we all know stimulate muscle growth. Two types of people use for this purpose. Professional bodybuilders/fitness models or bodybuilders/fitness models who are trying to reach the professional level. The second group are the other guys who use for no other reason then because they want to be big and don’t care about the health repercussions. 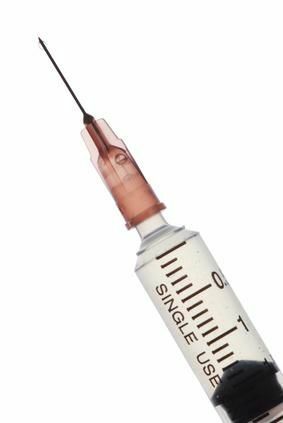 The second purpose of steroid use is to improve recovery time, which is a main reason to use in professional sports. With millions of dollars on the line, individuals will take these risks to keep their competitive edge. Cory Gregory and Maurice Clarrett had an enlightening conversation on their podcast “13 & The Prez” regarding steroid use at the professional level. You can check it out here. Here’s the deal, if you are a professional athlete you didn’t get to that level because of steroids. It takes a whole lot of hard work and talent to be the top 1% or so in your profession. Taking steroids doesn’t improve your hand/eye coordination. It doesn’t make you an All-Star. It doesn’t make you Superman. What it does do is allow you to recover more quickly from the daily beating your body takes as a professional. Professionals who wouldn’t be able to walk the next day after a game can get on with their training with the use of it. Does this make the use of steroids okay? I don’t think so but everyone has an opinion on it. Sports should begin with a level playing field and the use of oral or injectable steroids doesn’t keep things level and is harmful to the body in the long term. So next time someone asks you what you’re taking, take some pride in it and open the door to a conversation on proper nutrition and training. Most likely, people are asking you this because they are wanting to be healthy too. Here’s your chance to help others. Now go…Stay Jacked, Stay Strong, Stay Off The Juice!